HM can exclusively reveal today (01 Jun) Mantra Group’s Chief Operating officer, Tomas Johnsson, has been appointed as the new Chief Executive Officer of UniLodge. After 10 years of driving growth for the juggernaut that is Mantra Hotels, through ASX listing to the conclusion in the form of a sale to AccorHotels, Johnsson is now moving into the burgeoning student accommodation industry. Johnsson has a history of picking emerging asset classes and remember fondly the early Mantra years when Management Letting Rights were poorly understood in the market and has revelled in maximising the business returns over the subsequent years. “I am now really excited about the opportunities presented in the student accommodation sector and in particular, the strength of the UniLodge business to be able to take advantage,” Johnsson said. “UniLodge is the leading provider of student accommodation in Australia and New Zealand with a pipeline to double the business over the next few years, which represents a sweet-spot for me in regards to scale and agility. “The business has strong financial backing, development expertise and an opportunistic strategy with international aspirations,” he said. Johnsson is particularly pleased to note that the current CEO of UniLodge, Peter Bates, is remaining in the business as Executive Chairman to be able to accelerate the next growth phase and maintain key university relationships. “I am personally thrilled to be able to work alongside someone with Peter’s proven development track record and believe that my operational and strategic skills will be complementary to create a formidable partnership for the future growth of the company,” he said. 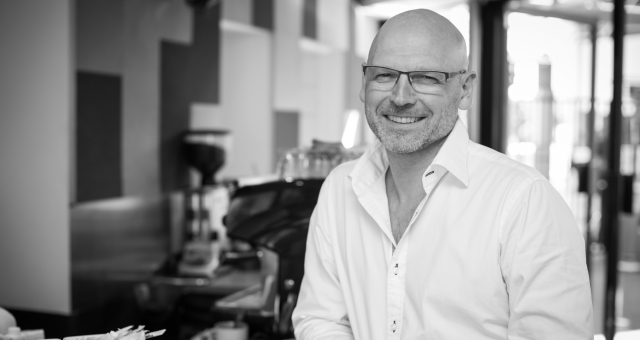 Johnsson is a seasoned hospitality executive; originally from Sweden with over 25 years’ experience in senior leadership capacities in Australia. His career to date includes senior management roles with Rydges, Mirvac, GPT and Mantra across operations, sales and marketing and asset management. Johnsson is a director of AAoA and HOTA and holds a Master of Business Administration. His most recent role was that of Chief Operating Officer for Mantra Hotels.